The ‘ferry boys’ played out an entertaining goalless stalemate against Real De Banjul on Sunday at the Banjul Box Bar Stadium. The 2014 CAF Confederations Cup runners up are the current league leaders in the Ivorian top-flight with 19-points after nine match days one more than ASEC Mimosas. Coach Alagie Sarr and his charges will be optimistic for a positive result against the Ivorian premier side despite their recent slump in the country’s top flight to increase their chances of reaching the second round. Sewe Sport are doing extremely well in the Ivorian premier league after winning most of their league fixtures to top the league and are also preparing well for the first leg clash with the Gambian champions. It would be recalled that Gambia Ports Authority were eliminated in the preliminaries of the 2011 CAF Champions league after losing to Senegalese premier league side Jaaraf 2-0 in the second leg in Banjul after a draw in the first leg in Dakar. 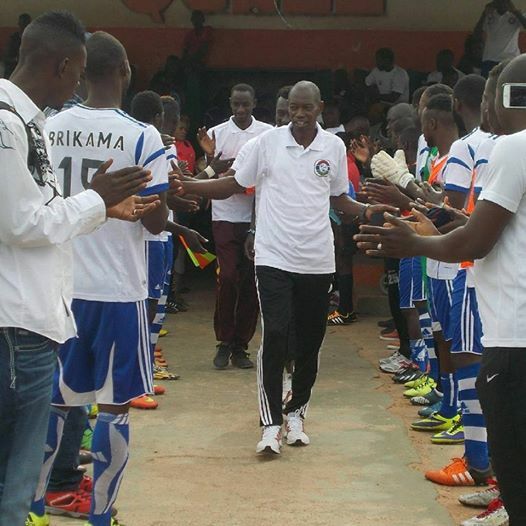 The GFF earlier on announced that all league matches at the national stadium will be moved to the Serrekunda East and Manjai due to the upcoming Independence celebrations but Coach Alhagie Sarr and his charges will be training at the stadium daily and the fixture will be played there while Sewe Sports are expected in town on Thursday.